BABYZEN delivers baskets of joy this Christmas with a festive game-changer: the YOYO+ bag. This ingenious multipurpose bag will make light work of Christmas shopping trips for the growing family! Introducing the unique, YOYO+ bag for the YOYO+ stroller, its effortless ease of use, coupled with its sizable shopping chamber, will restore stylish zen like calm to the bustling Christmas high streets with baby in tow. Striking just the right balance to maintain the stroller’s legendary stability and manoeuvrability, YOYO+ can still be steered using only one hand. 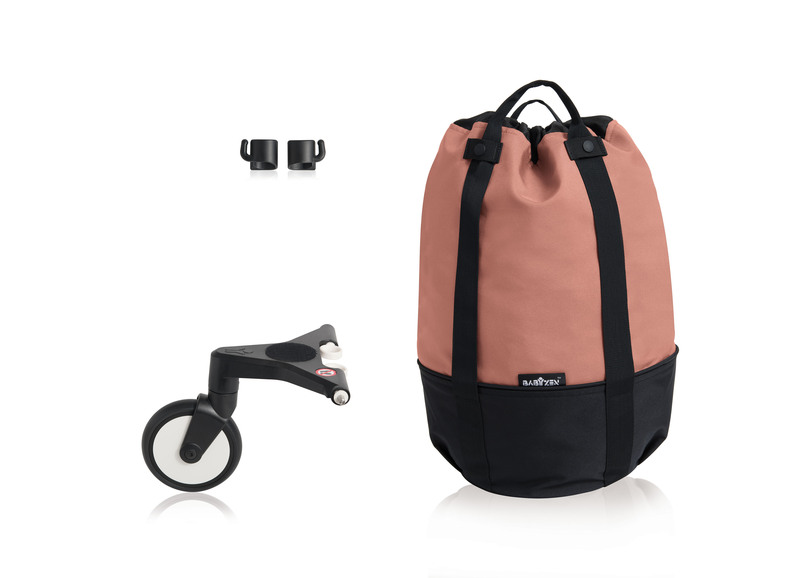 This practical yet stylish stroller bag hooks onto the YOYO+ stroller within seconds and will do away with strollers that tip over under the weight of bags dangling from the handlebar! Constantly on the lookout for innovations that make life simpler for parents, BABYZEN has invented the multipurpose YOYO+ bag, to ease their daily load. Whether it’s the weekly shopping, a pack of bottled water, soft toys or an extra set of clothes, the YOYO+ bag effortlessly carries up to 10 extra kilos, thanks to its rolling base. The YOYO+ bag attaches and is adjusted from the top, making it adaptable either to the newborn 0+ version of the YOYO+ stroller, the BABYZEN car seat, or the 6+ stroller version, from 6 months of age. Easy-to-remove thanks to its instant connection, the wheeled platform does not prevent the stroller from being folded and unfolded when not in use, and can be folded or stowed away in the basket to save space. Fitted in this way, YOYO+ can hold 18 kg in the stroller, 5 kg in the basket and 10 kg using the YOYO+ bag. Altogether, 33 weightless kilos. It comes in a choice of BABYZEN colours to match to your stroller design: Ginger (pictured), Peppermint, Air France Blue, Black, Grey, Red and Taupe and is machine washable at 30°C. The BABYZEN YOYO is treasured by parents who enjoy urban living and global travel. The lightweight stylish stroller system is suitable from birth to three years old and offers the ultimate in convenience for parents. Its tiny fold size of 52x44x18cm means it can be taken as cabin baggage and stowed in the overhead locker*. Its lightweight, 6.2kg proportions mean it can be folded, unfolded and pushed using one hand or carried like a shoulder bag. Originally launched in 2012, the BABYZEN concept has become an icon for stylish parents who want to explore the world with their young children. Extending the range is the BABYZEN YOYO+. The ultimate lightweight travel system from birth. The BABYZEN iZi Go ModularTM by BeSafe® car seat is connected to the stroller in just two clicks. Blending French BABYZEN design with Scandinavian BeSafe® safety, this car seat is the perfect solution for easily transporting your new born. From birth, your baby faces you in the lie flat position, no need for a separate carrycot module, snuggled on a thick mattress and safely secured with the five-point harness. Baby enjoys a comfortable and undisturbed ride thanks to the YOYO+’s 4-wheel suspension, and “soft drive” system (patented).